Click here for a Save the Date flyer for the June 2020 International Symposium. A group of 38 colleagues from the International Council of Fine Arts Deans enjoyed nine days together in Cuba, exploring ways in which personal and collective identity is expressed in Cuban culture through the arts. From the monumental modernist structures of Plaza del las Revolucion, to the idealist architecture of the Instituto Superior de Arte, to contemporary art venues such as the Museo Nacional de Bellas Artes, or the unsanctioned public performance works of various artists, we explored the complexities and richness of personal expression in public places where expression is often limited, restricted, or pre-determined. We enjoyed time conversing with and learning from personnel from the Office of International Programs from the University of Havana and Instituto Superior de Arte, as well as each other, as we shared experiences in developing relationships with arts executives in this magical country just 228 miles south of our shores. We came away with a greater understanding of the colonial and post-colonial history of Cuba, while considering the unique geographical and ecological attributes that make the island one of the most colorful, dynamic and vital cultures in the Western Hemisphere. Click here to see some of the photos that David Randell of David R. Randell Photographics, took, along the way.Click here to see a Memorandum of Understanding drafted by Instituto Superior de Arte. Click here to see some of the video and photos that Giraud Polite, Interim Dean of Business and Career Programs and Professor of Visual Communications and Cultural Studies at Brookhaven College took, along the way. 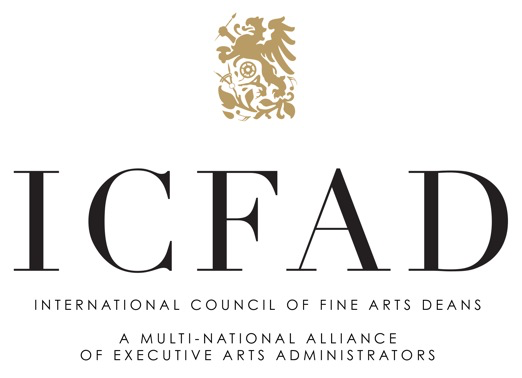 Click here to see a Memorandum of Understanding between James Madison University and Instituto Superior de Arte that was signed by both parties in addition to ISA’s standard MoU. Click here to see articles about travel to Cuba, as published by Smithsonian Journeys. Click here to see the Symposium Program. To view information about the Symposium Program click here. To view information about the Malta Post Symposium trip click here. To view the Conference Brochure, click here.